In our latest digital statistics post, we spotlight a bunch of interesting Yelp statistics. Here are a few facts and figures about Yelp’s visitors, reviews, mobile usage and more. As always, we’ll be adding and updating semi-regularly as more statistics become available. 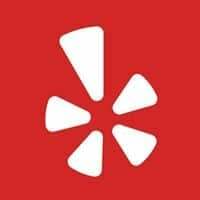 Begun over a decade ago, Yelp has stuck pretty well to its roots as a business recommendation network, while adding a number of social and mobile elements along the way. So how big has Yelp become? Yelp app users view 10 times more pages than desktop users.